After a relaxing stay at the heavenly Al Bustan Palace Hotel just south of Muscat, on Saturday we stopped for a spot of geocaching on the outskirts of the village of Tanuf. 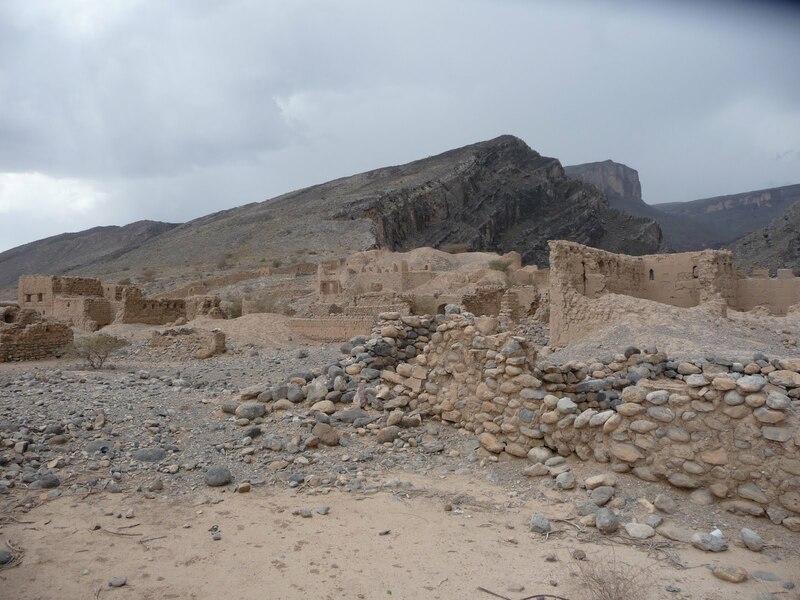 The info supplied about the cache intimated that the deserted village to the north of modern Tanuf had been bombed by the RAF in the early fifties during the Jabal Akhdar (or Green Mountain) War. As this was before either of us were born it was hardly surprising that we hadn’t heard of it so I decided to do some research on Sunday. In fact it turned out I was two years old when this little piece of British-Omani history drew to a close. The origins of the dispute were in oil, religious traditions and absolute rule. 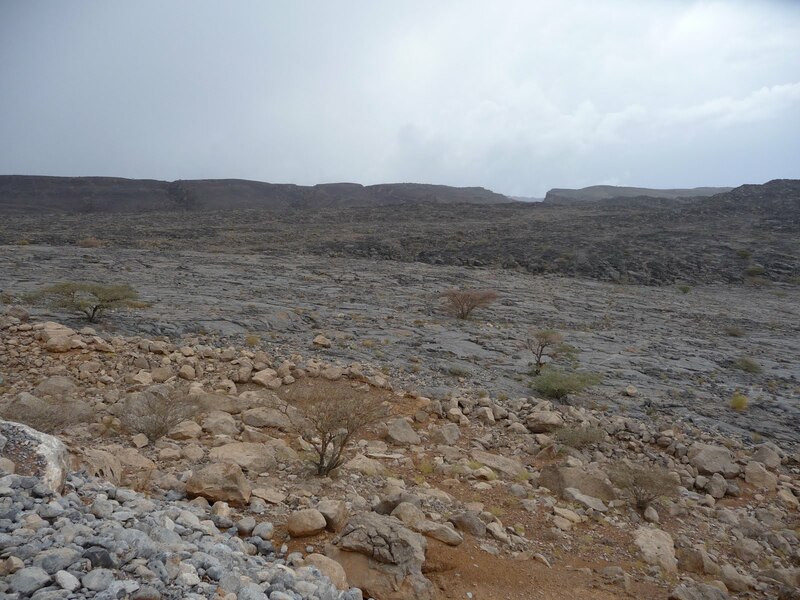 The Saudis laid a tenuous claim to the Buraimi Oasis in Oman close to the UAE/Omani/Saudi borders because Aramco (Saudi’s state owned oil company) believed there was oil to be found there. There was already some dispute between the tribes of the interior of Oman who believed in appointing their religious leaders (Imams) by election and the Sultan who, from Muscat, ruled absolutely over Oman. The country at that time played a role in managing the neighbouring Trucial States established by the British in 1835 to halt piracy in the Persian Gulf. (The Trucial States or Trucial Oman would eventually give rise in the seventies to the modern day UAE with Qatar and Bahrain as separate kngdoms but in the early days of Rock and Roll all that was still in the future.) The Trucial Oman Levies or Scouts were an armed force of Omanis commanded by British Officers and NCOs who kept the peace. The individual states were mostly responsible for their own internal affairs and the poeple ruled by their sheikhs while the British concentrated on foreign business on Trucial Oman’s behalf. 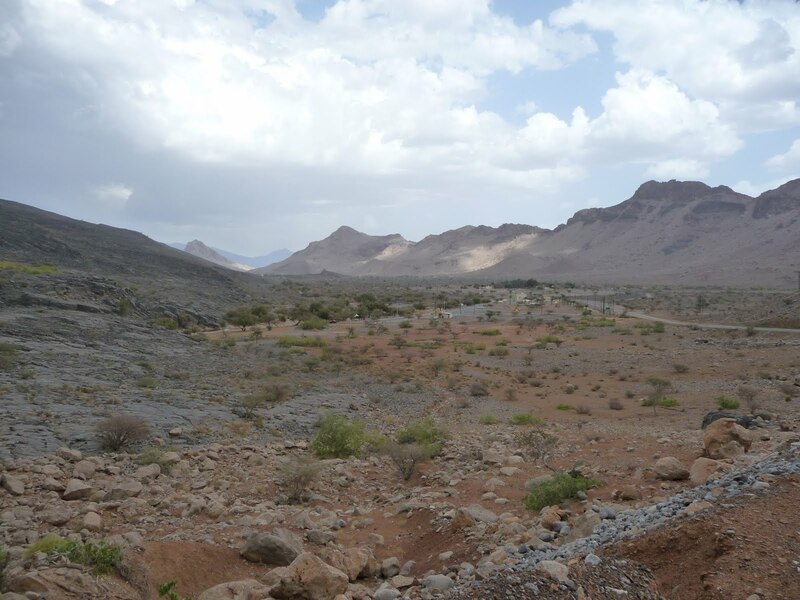 The Akhdar range includes the highest peaks in Oman including Jebal Shams rising to almost 3,000m. These mountains cause the rains to fall (we saw plenty of thunderstorms and experienced a refreshing downpour ourselves on Saturday) so there are lots of trees and agriculture in the wadis leading down from them, hence the name “Akhdar”, Arabic for green. The range thrusts up from almost sea level with little in the way of foothills, just sharp jutting rock rising vertically. Transits across the range from coast to interior are few and far between even today, so fighting was tough for the Scouts. Tanuf nestles below the mountains on the inland side. To support the Sultan’s troops the RAF ultimately bombed several sites along the mountains to drive the rebels out, including the town of Tanuf. This small forgotten war dragged on from 1954 until January 1959.